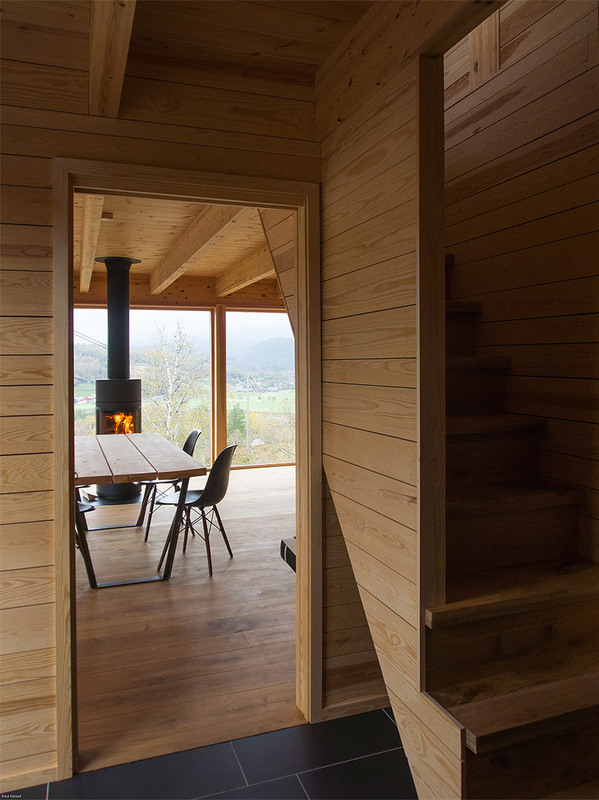 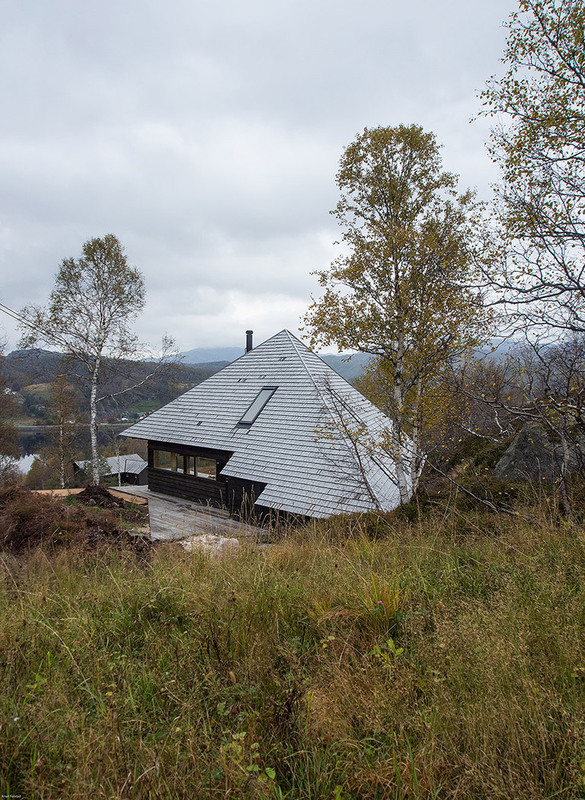 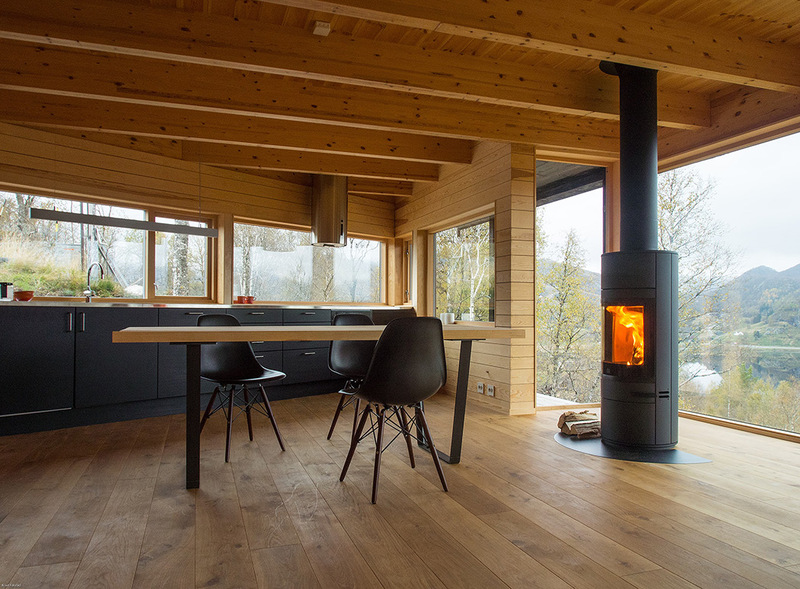 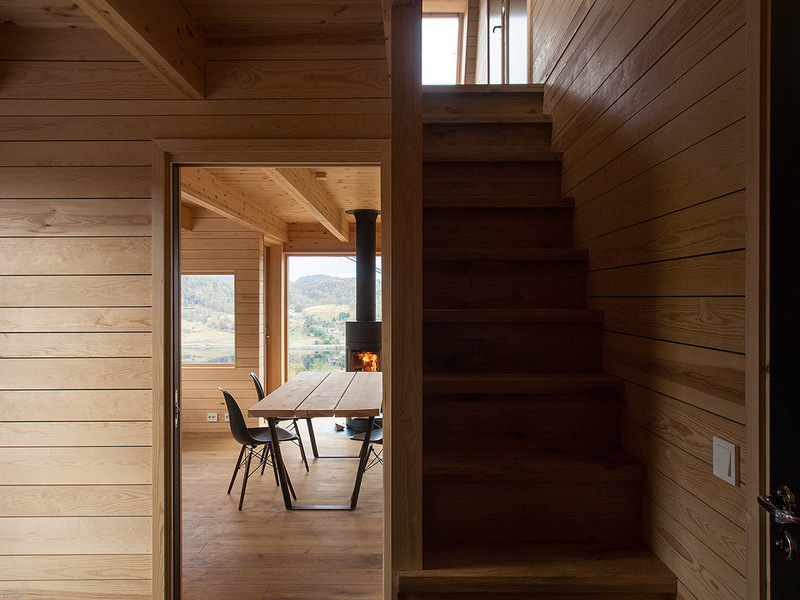 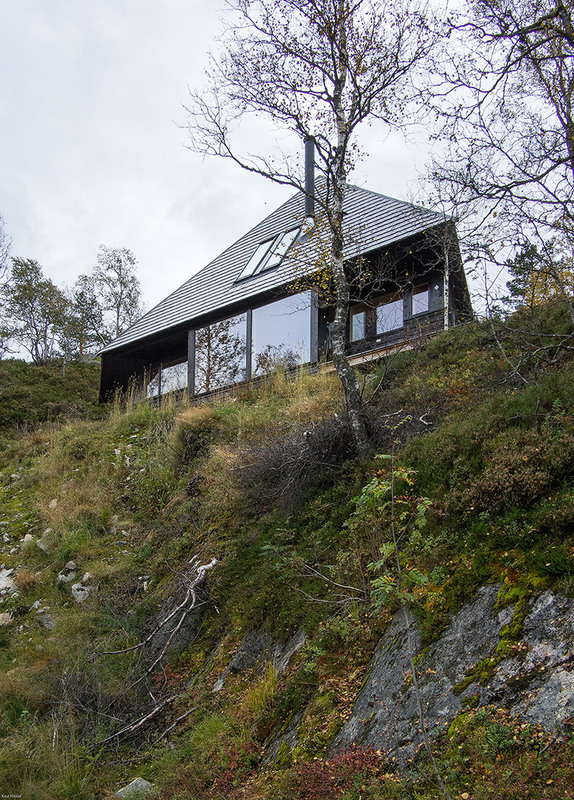 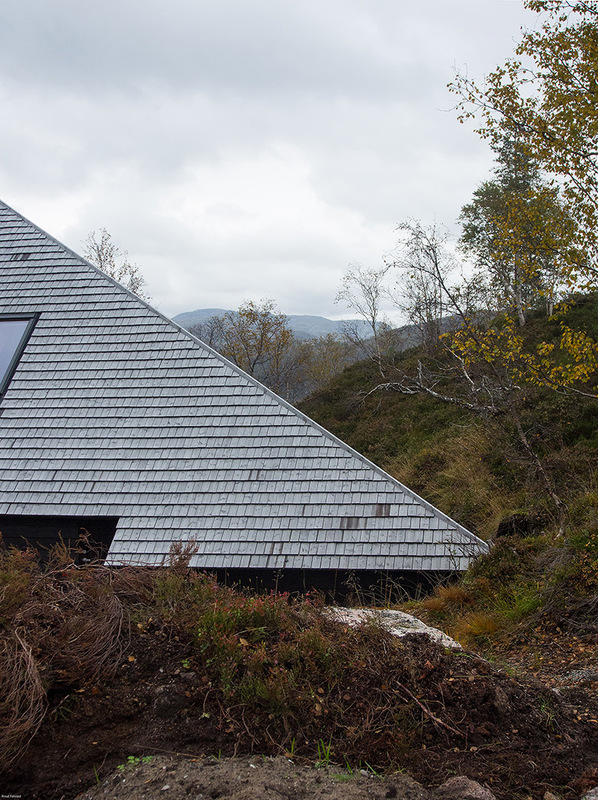 Cottage located in a popular ski area.Narrow, north facing plot demanded an unconventional solution; Triangle form both in plan and section. 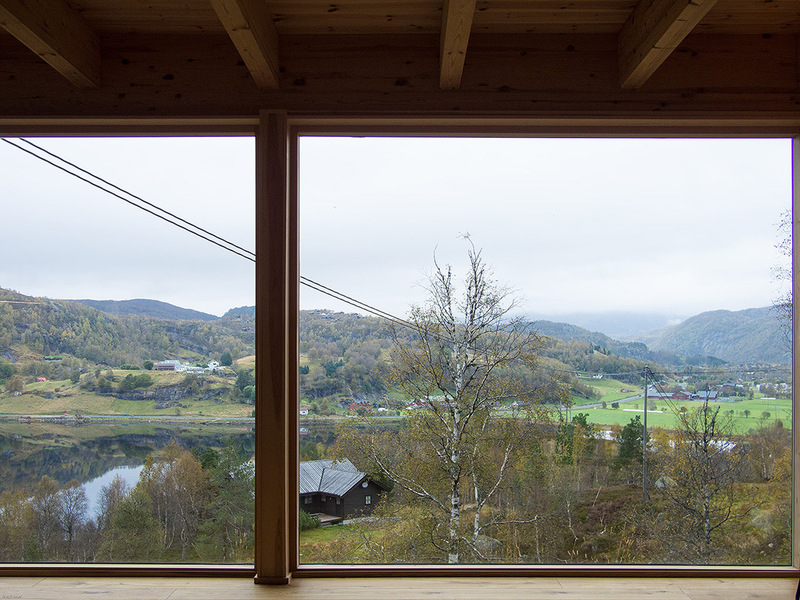 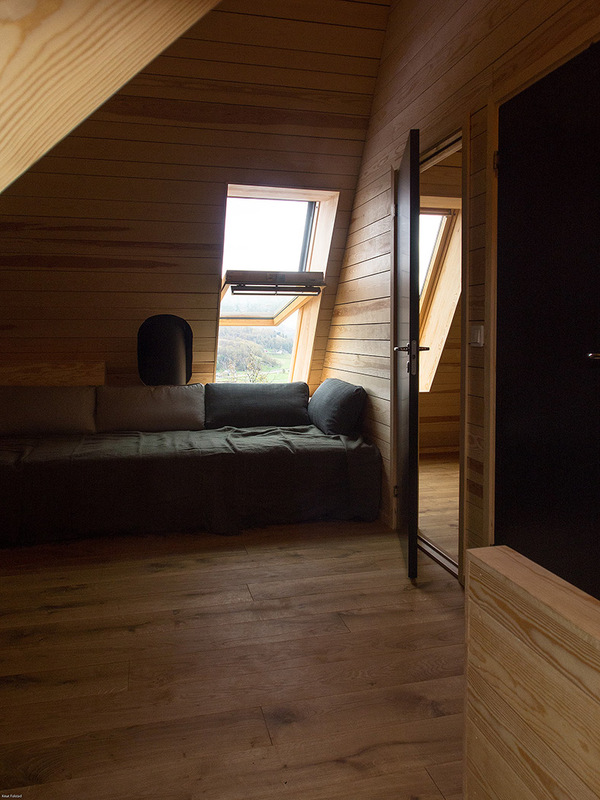 The cabin is like a hang glider in the hillside.Central room with kitchen, dining and living area facing magnificent views of the valley and mountains.Attic floor with TV room and 2 bedrooms. 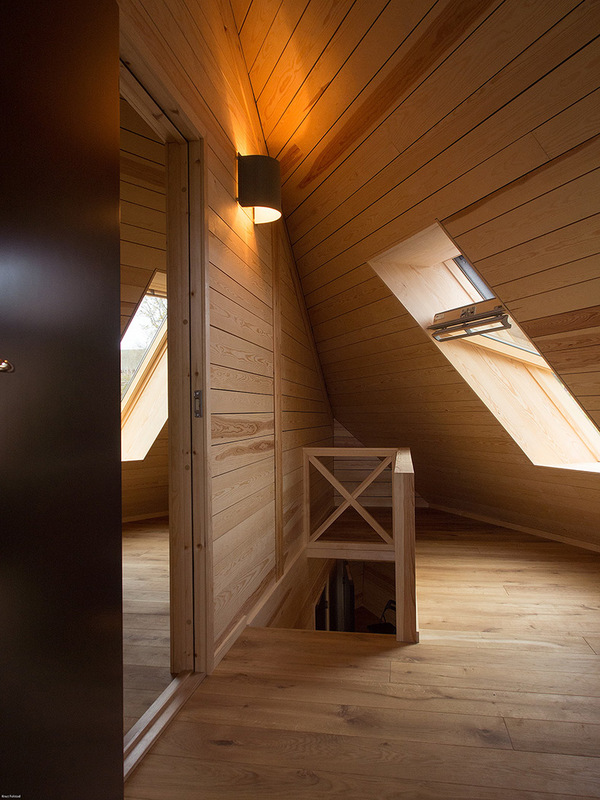 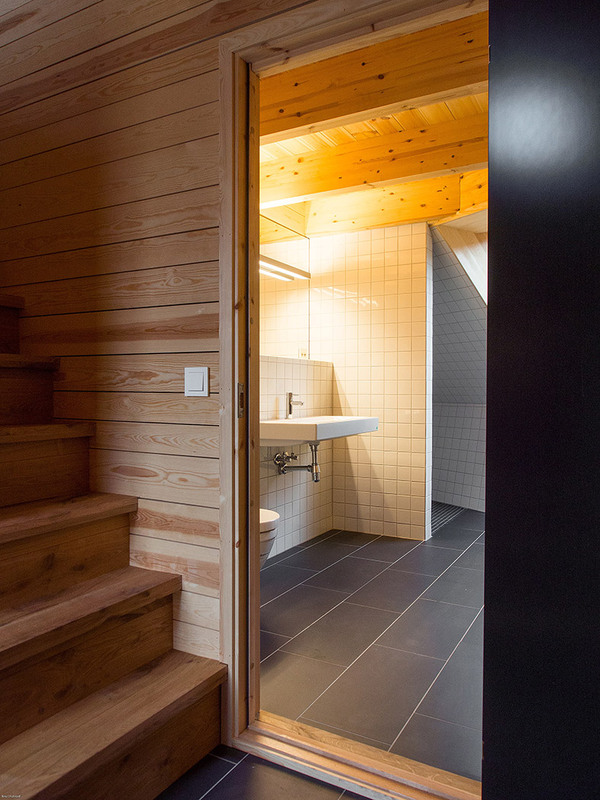 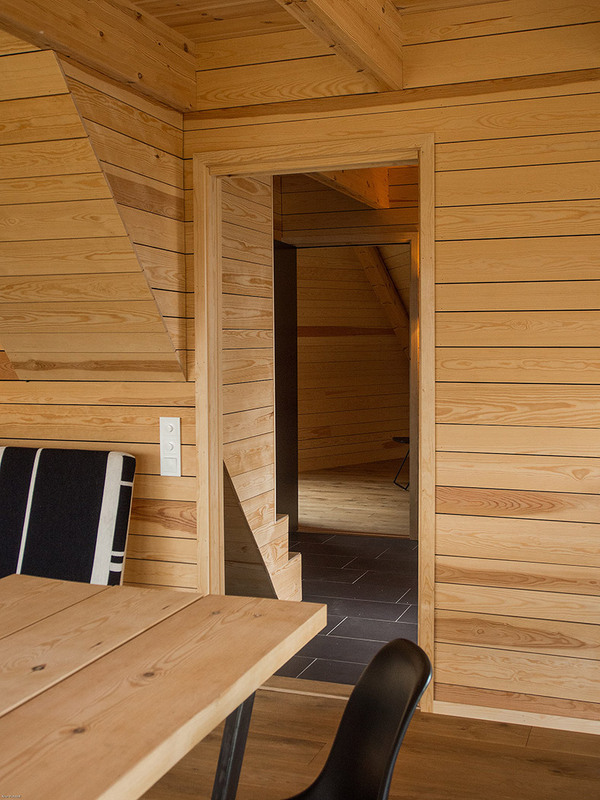 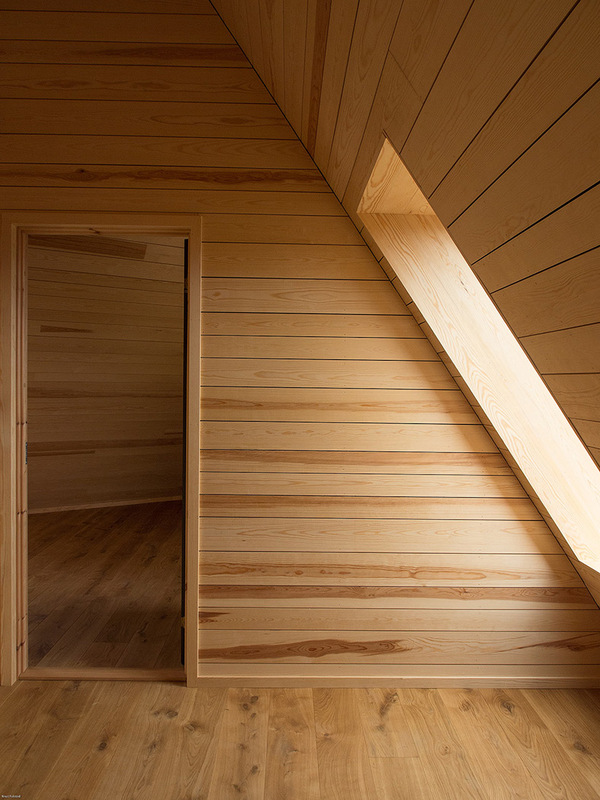 Pine paneling on all interior walls and ceilings. 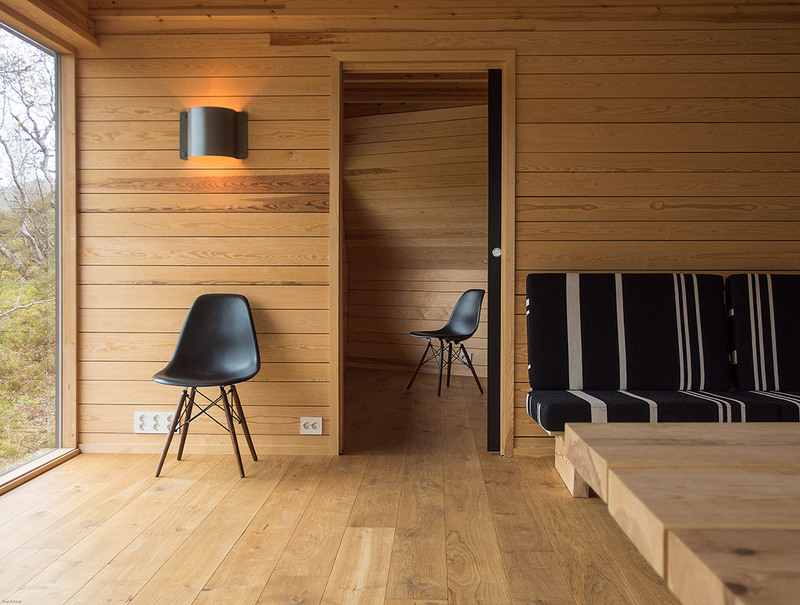 Massive oak floors. 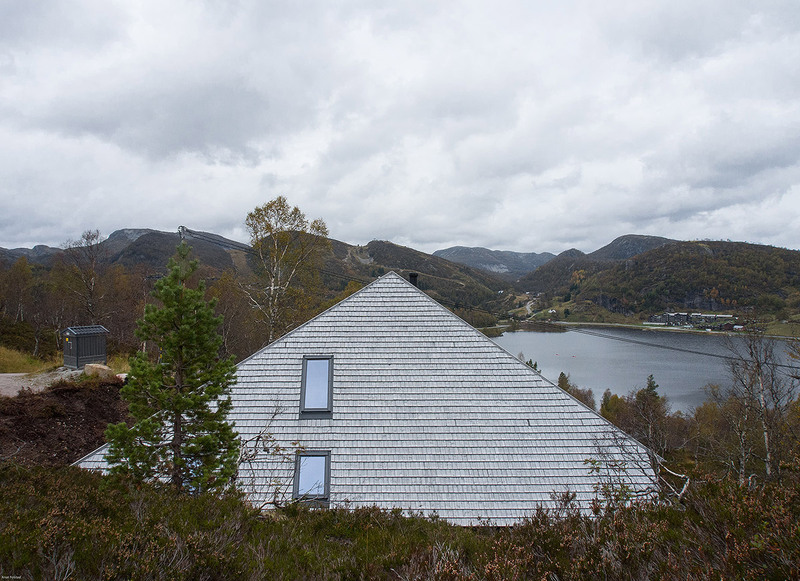 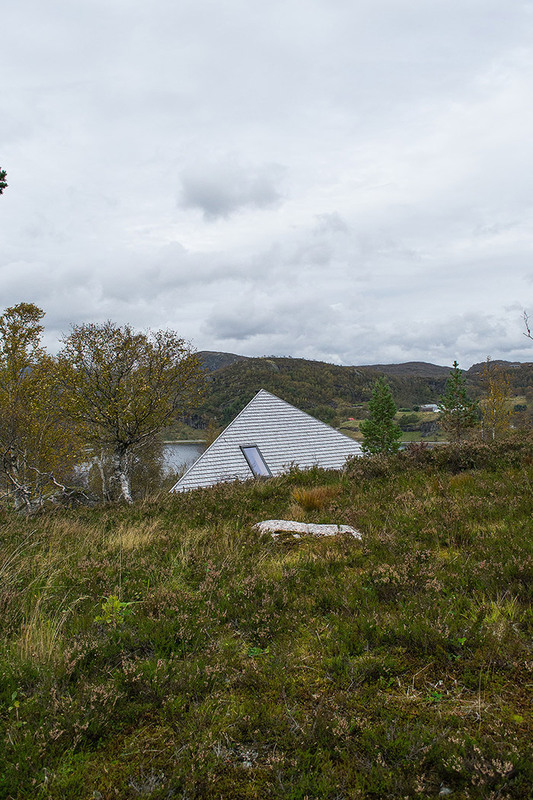 The pyramid roof is covered with shingles of pine wood.